Pastor Fred and Diana Thomas felt called to the Columbia, PA area sometime in 2000-2001 and ... with the interdenominational bible study that was meeting in their kitchen ... began taking prayer drives and prayer walks in Columbia. Pastor Fred was working in the auto parts industry when they decided to move to Columbia and found the parsonage of Columbia Church of God (CCoG) was available. Upon meeting with the church council, they rented the house at a very reasonable rate and began attending CCoG. They became involved in CCoG, with the congregation, and the pastor's family. Pastor Fred filled in for the pastor as needed and became a Sunday School teacher. 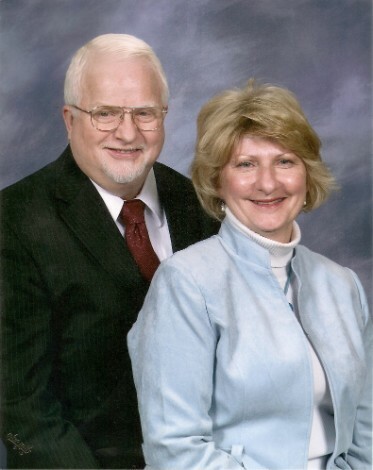 In November of 2008, the pastor resigned and the church called Fred and Diana to be their pastoral team. Pastor Fred and Diana were installed on June 14, 2009.